Exclusive Interview: Chris Esper Talks Please Punish Me! Today we welcome director Chris Esper to the site in order to grab a few minutes with him about his recent short Please Punish Me. We reviewed the film back in July¹ and we thought this was a good opportunity to learn more about Chris’ thinking when making the film. Read on for our conversation! Hello Chris, thanks for sitting down with us today! How are you? Doing very well. Thank you also for taking the time to sit down with me and of course for watching the film. Firstly can you tell our readers a little about Please Punish Me and how you came to the project? Please Punish Me is about a businessman who is overly blessed in life, so he seeks to be punished for his “curse”. The project came to me in the form of a seven-page script that Tom Paolino wrote and I read it and really liked it. It was something different for me as a director and also somewhat out of my comfort zone. I had not done a comedy film by that point and done mostly dramas and anything comedy related that I’ve done has been in the form of web shows and comedy sketches that were very short. This was also my first time directing a film written by somebody else, so I wanted to challenge myself by making this. So, after deciding that this was something that I wanted to do, I went to my good friend and screenwriter Rich Camp to polish the script. He expanded the story and added to the humour. There’s a lot of humour in the film but also you’re telling the story of a man on a spiritual journey of sorts, how did you try to balance the film’s competing elements? For me, I tended to focus on the drama of it and let the comedy did the talking on it’s own and also let the actors have a chance to improvise when possible. The one thing I didn’t want to do was tell an exploitation story given the subject matter. So, instead I tried to approach the punishment stuff as more of a metaphorical element in the story in that Scottie feels like he’s being punished literally and figuratively at work by always being promoted. I remember being a little weary about even keeping the title as what it is now. I wasn’t sure how it would perceived by the public, but in the end, I thought it may draw some curiosity and then when they watch it, then we got them and they’ll be seeing what’s underneath the surface of the comedy. What is the one thing you would most like audience’s to take away from Please Punish Me? I would hope that audiences see the message of film, which is to do what you love while you still have time. There are many who wake up in the morning and hate what they do and are generally unhappy in life. The idea of the film was to show that you have the freedom to do as you please and can control your destiny and no one is stopping you. You’ve got quite a number of short’s under your belt now… what is it about the form which you strive for every time you make a film? My goal whenever I make any film is to do something that means a lot to me and is personal for me. I have to be in love with the script before going into it. So, what I strive for is to tell a story that will connect with an audience in someway that also connects to me. I always strive to make something that has a purpose of some sort and something to say that’s interesting. Do you want to move towards making features at some point in time? If you were to would you still make shorts? Yes, I would love to make features. I have had a few feature film scripts sent my way and also a script of my own that I’m trying to develop. 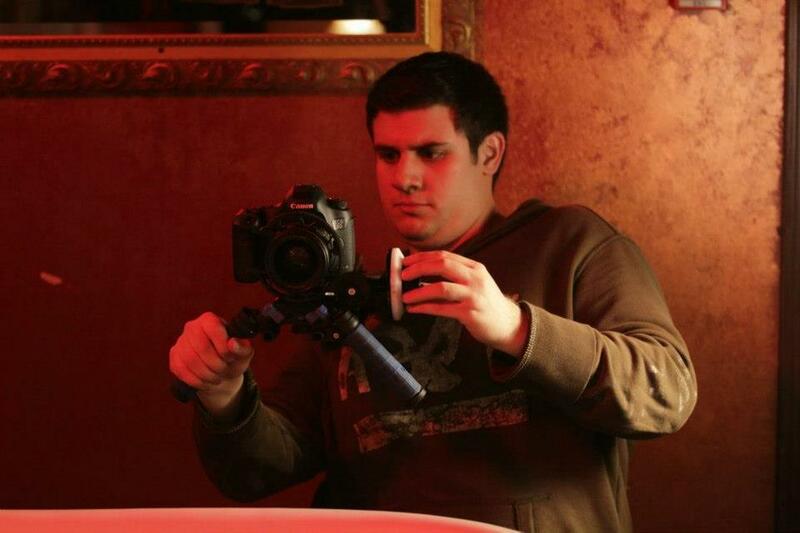 The goal is to ultimately make that first feature that will get my career into high gear. And finally what should we be looking out for in the future? What do you intend on doing over the next year or so? I’m currently in pre-production on my latest short film, A Very Proper Man, which was written by Chris Hallock. It, too, is a comedy of sorts, a very dark comedy, but also quite a thriller. So, I’m looking forward to doing my first feature soon after that within the next year or so. And that’s all folks! Let us know your thoughts in the comment box below!